Donald Keough became Chairman of Allen & Company, Inc., in 1993 following his retirement as President, COO of the Coca-Cola Company. 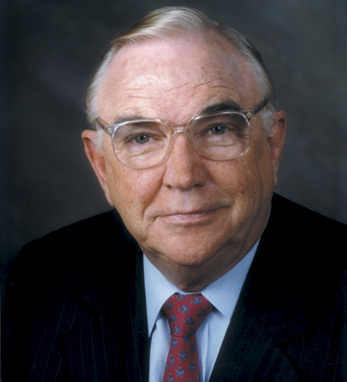 In 2004, Coca-Cola re-elected Keough to the post of director. Keough also serves on the boards of IAC/InterActive Corp., Global Yankee Holdings, Convera Corporation, and Berkshire Hathaway, Inc. He has received various honors in his career, including honorary doctorates from the University of Notre Dame, his alma mater Creighton University, Emory University, Trinity College, Dublin, University College Dublin, and Clarke University. The University of Notre Dame’s highest honor, the Laetare Medal, was presented to Keough in 1993. In 1995, he established the Keough-Naughton Institute of Irish Studies at the University of Notre Dame. He was elected a Fellow of the American Academy of Art & Sciences in 2002 and inducted into the Junior Achievement National Business Hall of Fame in 2003. Keough received honorary Irish citizenship in June, 2007.